You are here: HomenextPeoplenextFamily MemoriesnextPeter Sloper and his vehicles. 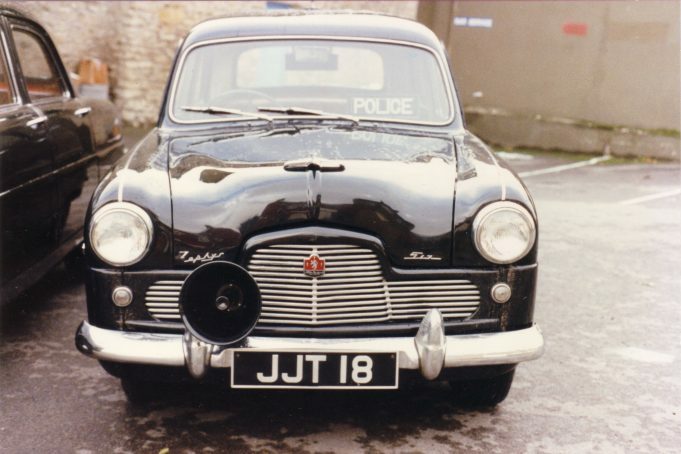 My father brought a Ford Mk1 Zephyr 6 on the 6th December 1954 from J Toomey Motors in Laindon. He had previously been out to test drive a Vauxhall Velox but my mother did not like it, so he settled for the Ford. His brother had one and his other brother had a Vauxhall. I was 12 years old at the time and had been in hospital with appendicitis. My first ride in the Ford was on the journey home from hospital. In the late 50s, when I was about 16 years old, we toured Devon and Cornwall in it. The first time I drove it was on an old airfield in Devon. Because my father had his own milk delivery business, I was able to drive the milk vans around the milk yard but not on the roads. At age 16, I had a James motorbike and passed my test on it. 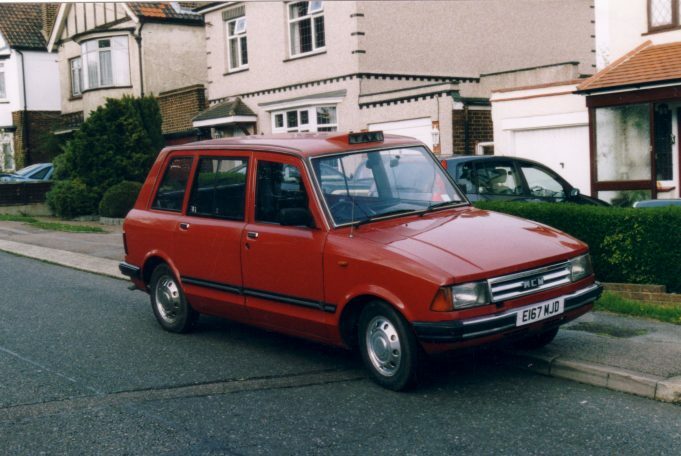 I also had a Reliant van which I could drive on a motorbike license. 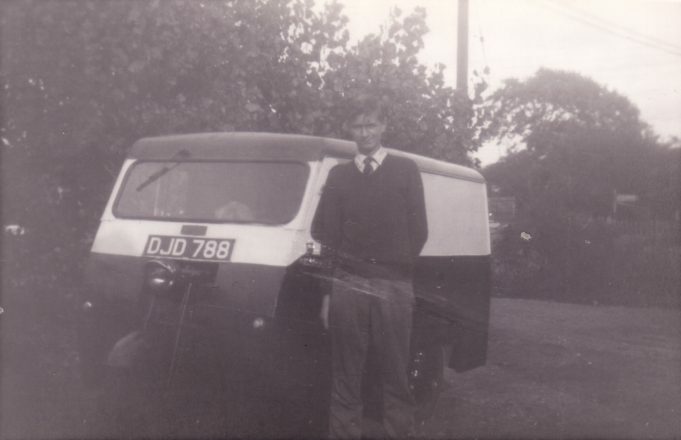 When I was 17 years old I passed my test first time in a Bedford C A milk van, but as it did not have a passenger seat, the examiner had to sit on a milk crate! 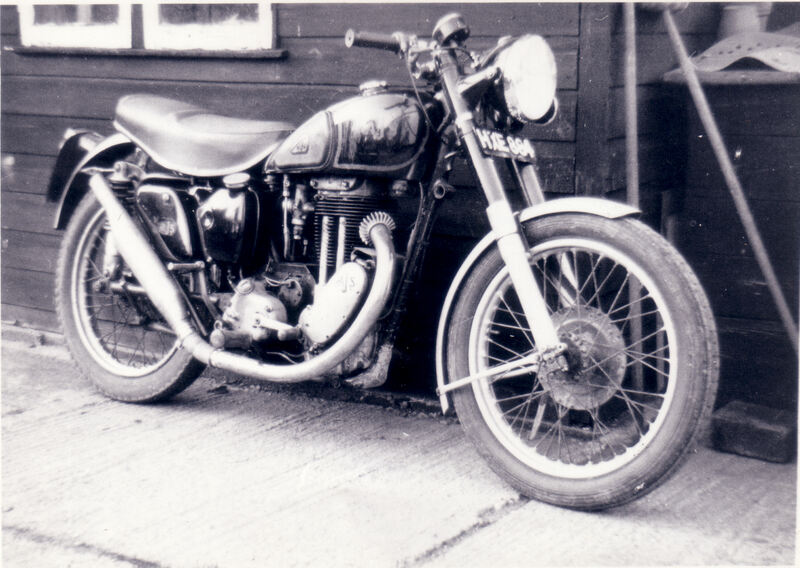 Also I got an AJS bike from David Pratt and sold it soon after. I used to take my father’s Ford Mk1 Zephyr 6 and go out with my friend Michael Pratt in the evenings. We also went to Torquay and my brother came with us. In 1960 I brought a new Ford 300e 7 cwt van which I used on the milk round and for going out in. Basildon was being built up so I would get new calls to make up a milk round. I have always been into old cars so I brought a 1934 Morris 10 to do up. I went to a breaker’s yard to get a headlight but I came home with a whole car which was better that the one I had. I towed it home with my mate but when I got in and started it, there was a big hole in the block, so I took the engine out of the first car I had bought, reconditioned it and put it in the second car. In 1966 my father brought a Rover 2000 so he gave me the Ford Zephyr 6. However, I still got more cars to do up and sell; C.A Bedford van Rover 3½ litre etc. I then moved to Brentwood with my parents as the dairy was knocked down to make way for a new road. I went into partnership with Mr Whife, another dairy in Basildon and I used the Zephyr for work and everyday use from 1969 to 1976 when I got a company car, a Ford Capri, but still kept and used the Ford Zephyr. In 1970 the half shaft went and I fitted it myself. In 1971 the gear box needed replacing. I got one from the breaker and Dave Pratt fitted it in. In 1974 I had to get a new steering box, so I sent for one from ‘New Ford Part’ near Preston but they sent the wrong one. So I went to Preston to take it back and get the right part. When I got there the radiator was leaking, so I got a new one while there. In 1976 I got married and used the Ford Zephyr as a wedding car. 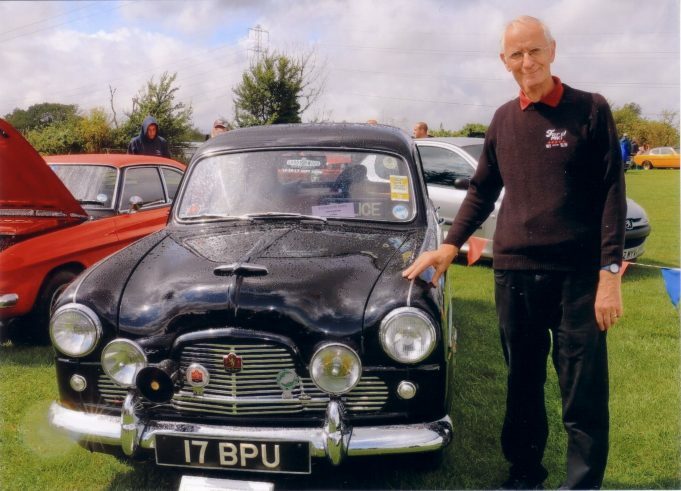 I joined the Ford Mk 1 Zephyr club and then started taking it to shows. 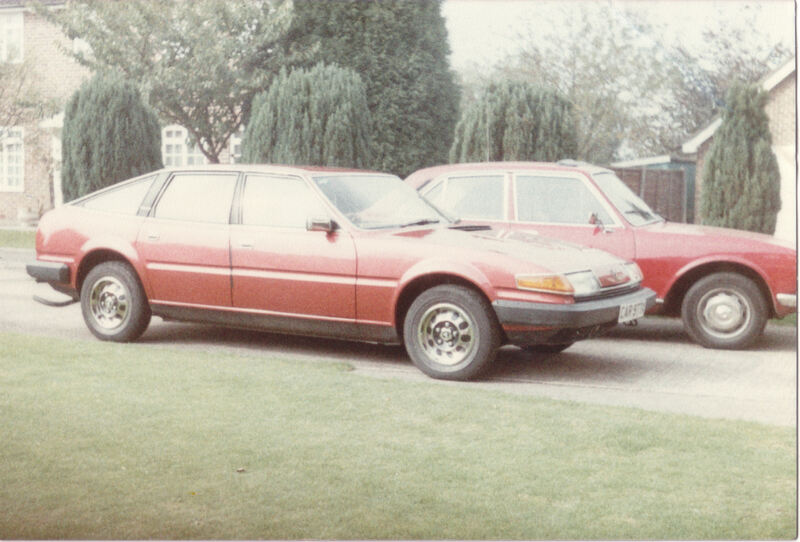 In 1988 I got overdrive at Enfield and Rowland from the Mk 1 club fitted it to the gear box. I have done the Norwich Union run from Norwich to Donnington, 300 miles in one day. In 1990 I was approached and agreed to have my car featured in a film. Dave Watson was organising the transport for the film so I had to take my car to his workshop in Richmond Park, London to have a police sign put on it. Then I drove it down to Sherborne in Dorset for the filming of ‘The Quantity of Murder’ made for ITV. It was in December and very cold and as it took all night to film, they put me up in a hotel. I travelled home the next day. In 2000 I received a phone call from Julius Thurgood of Goodwood, Chichester, Sussex. He asked if I could bring my electric milk float down to Goodwood for the revival. I told him I had a little Ford milk van and a Mk1 Police car. So, I took them down with my friend and the following year I took five cars, adding my son’s Ford Cortina as a ‘Glam Cab’. I go along as a milkman with the milk van. Since then, I knock on the door of Goodwood House and Lord Marsh invites me in for breakfast. Sometimes also sitting at the dining table is the racing driver Jochen Mass with whom I have become very friendly since picking him up late on Sunday nights in my milk van and taking him back to his house. I have been doing this this 2000. 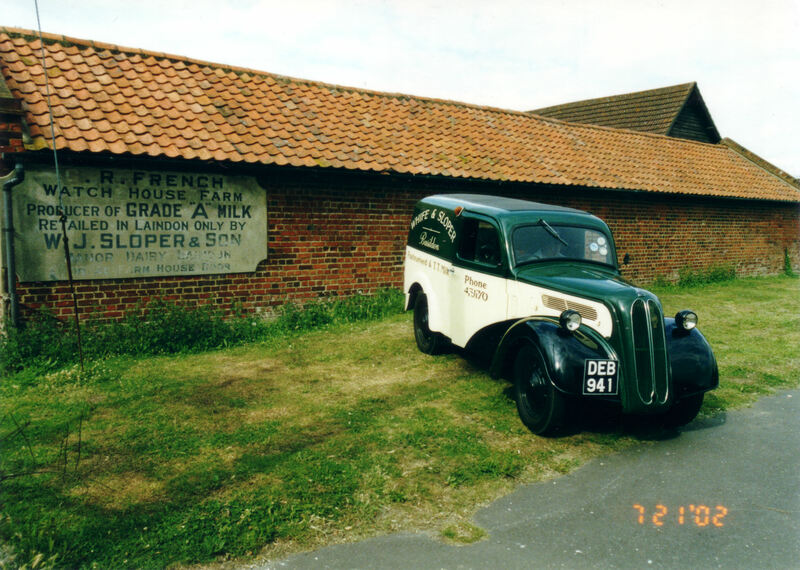 In 2006 I took my Ford Mk1 Zephyr 6 to Emlyn Boudler in Stourbridge to have it restored as it was becoming tired and sad looking. The doors were going at the bottom and I had put a new front wing on myself in 1989 – the wing came from Australia. Then 18 months later, I met him at a Buckingham Ml 1 club meeting and collected my car. I was very pleased with the work he had done and glad to have it back home. I got the milk van because my father had one in the 1950s. (Both my dad and my partner in business also had one). This one came up in 1985 already restored. We just had to paint the bottom cream and have it sign written. 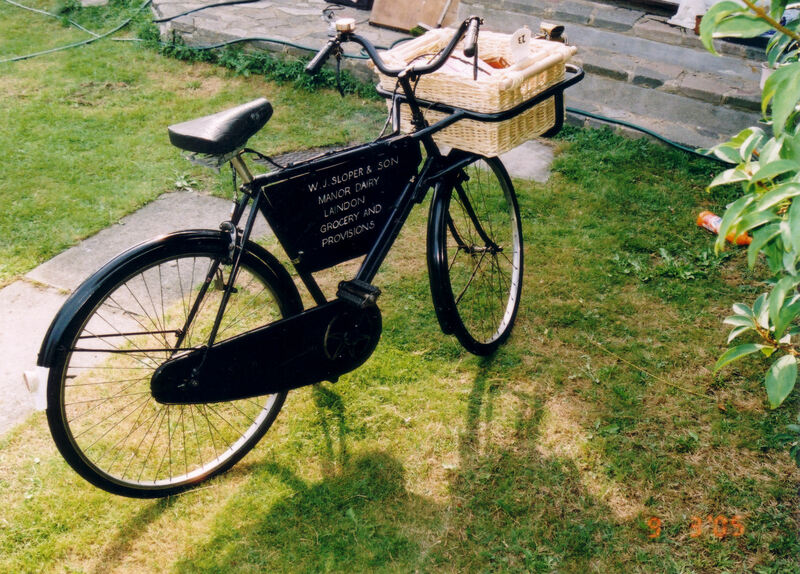 Later on I took the engine out and restored it and I collected the old milk bottles and churns from local dairies. The Hillman came along because a friend was moving workshops. It came with all the parts to restore it, repairing seal and front wing, and then I put it back on the road. 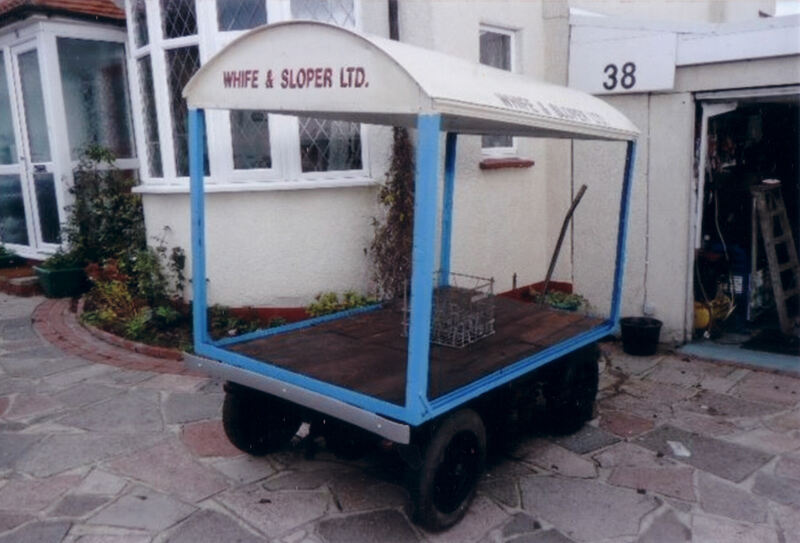 In 2010 I bought a milk barrow from a local museum and painted it with my grandfather’s name ‘W J Sloper & Son’. In 2012 I was given back two milk floats. I had previously given them to someone who I bought potatoes from. This person had died and his son wanted me to have them back and have fun trying to restore them. I am on You Tube with the milk van – Peter Sloper at Ingatestone Hall. Also I am on this Laindon Archive website with my family history. I was also in the Classic Car and Pickup magazine, November 2012. Around 1994. 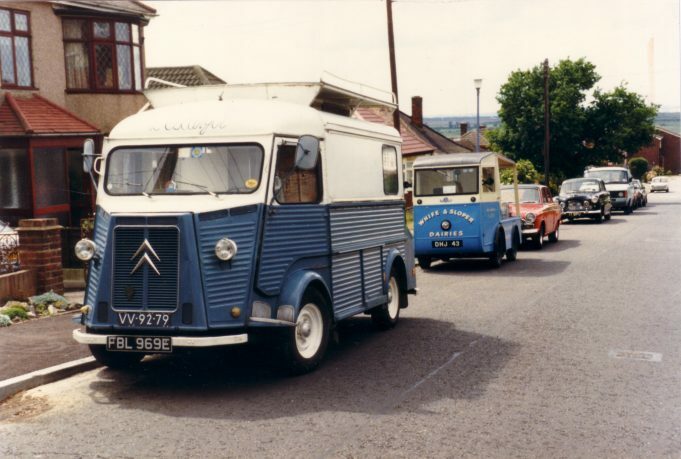 I had a Citreon H-van left hand drive. It was a camper van that came from a place near Greenham Common where protests had been carried out. It came via a friend of my brother. It didn’t have a second gear when I bought it. Apparently some were available in an old French car club. Someone I met at a car show put me in touch with a person just outside Paris in France. So off I went across the channel. I had a Rover SDI at the time, so my friend and I went on a day trip from Dover. We went to Paris and got a late ferry back. At customs, we went to the ‘declare’ section and got through much quicker. I had to get up early next morning to do a milk round. Reliant small 3 wheel van, Bedford C A van, Ford Cortina Mk1 GT, Hillman Minx, Daimler series 3, 300e Thames van, Rover P6 3 litre, Zephyr Mk 1, Jeep Cherokee, Morris 10 1934, Triumph Spitfire soft top, Ford Popular van and Ford Capri. Getting to know Peter and his Lovely wife Pam through my wife, I had tremendous pleasure in riding in Peter’s milk van and LOVED it. Have just read a comment elsewhere on here (postal workers) and have seen a name mentioned that has stirred the grey matter into life once more. The surname mentioned is Theobald, and from what I remember, my Mother told me our milkman’s name was Theobald and he had delivered to us for a number of years. This fact, aligned with the fact that our milk supplier had always been Slopers Dairy, leads me to believe that Peter Sloper might remember him? 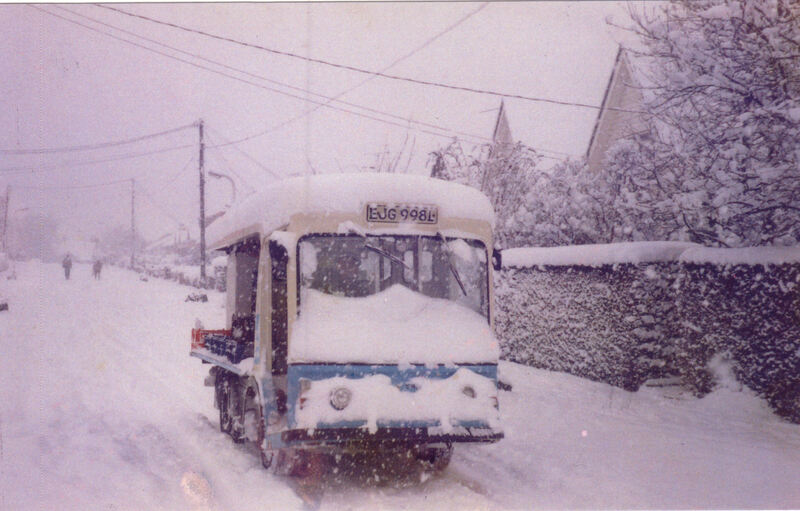 That Mr Theobald had been our milkman only came to light after I had taken to my home my then girlfriend Rita, who coincidentally happened to be his daughter! Don’t know exactly where but they lived on the King Edward Estate in the ’60s. I need to correct an error that I have made more than once. I have referred to the “unmade part of St Nicholas Lane” and have come to realise that the muddy track that continued in a straight line from the junction of Church Hill was actually named Church Avenue. Sorry to have misled or confused anybody. Don. Nina, can’t tell you just how disappointed I was on reading your reply, to learn that you didn’t swap engines after reconditioning one yourself. Was further dismayed to find that you didn’t replace your own half shaft. The biggest disappointment came from learning that I had failed to read the top of the page correctly! Duh! Hi again Nina, I like yourself have a love for the cars of yesteryear, although not in the hands on manner that you obviously do, I just like to look and listen. 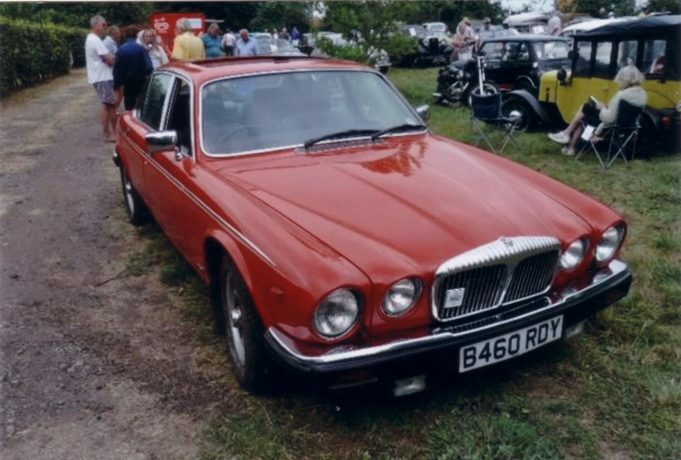 Old cars have a lot in common with old Laindon. Unlike the cars of today and recent years, 3 basic shapes and that’s your lot, the old cars had character and a charm of their own, as did old Laindon. Reading your story of the milk business reminds me that as a child the milkman at our Pound Lane home was always Slopers. Then you mention having gone into business with Whifes and the dates you give leads me to believe that you would have known a very good friend of mine, Tony Willets? I went to LHR with Tony and after leaving school we both knocked about with the same crowd until the changing circumstances of life took us on our separate paths. Tony began working for Whifes as a part time helper while still at school, part of the round he covered included the unmade stretch of St Nicholas Lane. I can still visualise him wheeling his milk cart about, it always looked too big for him to manage. Upon leaving school he took up full time employment with Whifes and to the best of my knowledge this was the only job he ever had. Sadly Tony is no longer with us, having passed away a number of years ago. I still go and look at his headstone in Pitsea cemetery while visiting relatives graves. Should any of Tony’s family read this post, be assured, he is greatly missed and it lends weight to the old saying ” The Good Die Young “, far too young in Tony’s case. Hi Donald. I’m really pleased you enjoyed Peter Sloper’s article. I can’t claim the credit for it as Peter contributed the story and the photographs; I merely published it on this website for him. 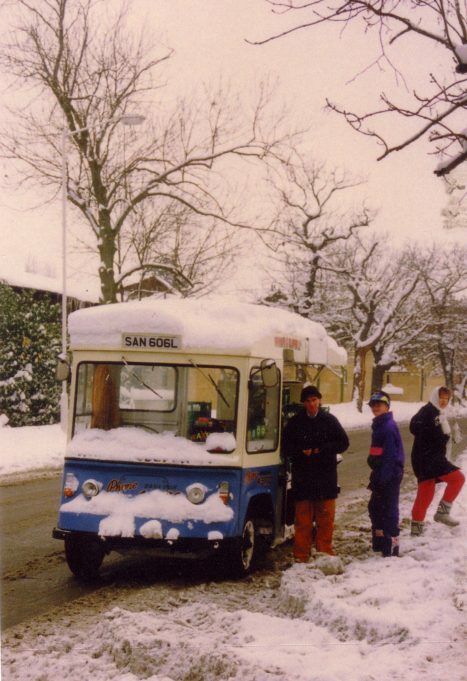 I totally agree with you, it conjures up some lovely memories, especially the milk float in the snow – the morning delivery just had to get through, no matter what. Your friendship with Tony Willets was obviously very special and I’m sure his family will be most appreciative of your very kind words. Best wishes.